Queen Victoria Suite -Also ideal for a single person accommodation. 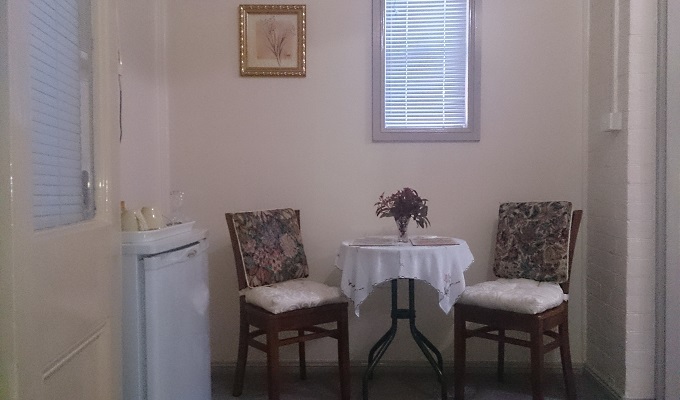 The Queen Victoria Suite is 0ver 33m2 and ALSO IDEAL FOR A SINGLE PERSON – looking for top quality Tumut accommodation with plenty of room to spread out. Ideal for every occasion, business or pleasure with FREE Fast Wi-Fi. It has its own private gated off street parking area and private access. 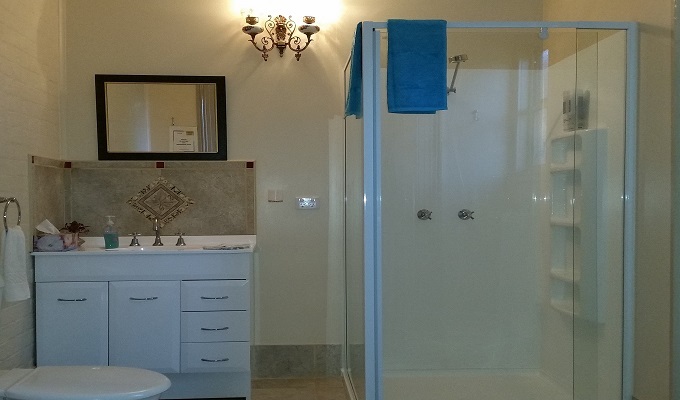 It is complimented with an extra large luxury en suite with beautiful towels, soap, shampoo, conditioner, blow dryer, tissues and more. The Queen Victoria Suite offers a separate sitting room with a café style setting complete with cutlery, microwave, toaster, fridge, Tea and Coffee making facilities. The Queen Victoria Suite offers a large comfortable queen bed with luxury linen. There is a TV and DVD player, ceiling fan, electric blanket, oil heater, air conditioning, ironing board and so much more. 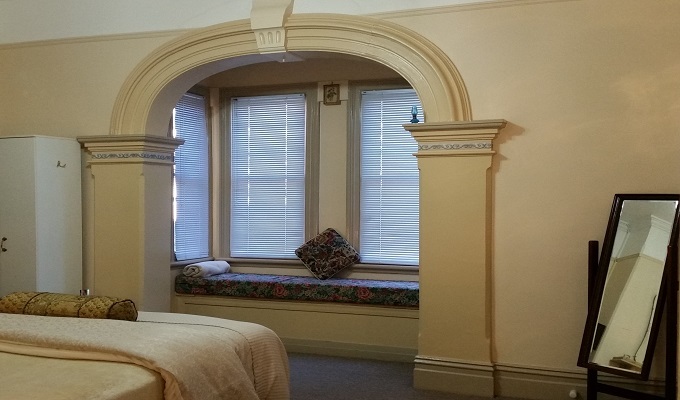 It has a beautiful classic arch bay window where you can sit and read a book or enjoy a drink. The Queen Victoria Suite has access to the beautiful front veranda with a view of the lovely gardens. There is nothing else like the magnificent Queen Victoria Suite. Simply the best quality Tumut accommodation. 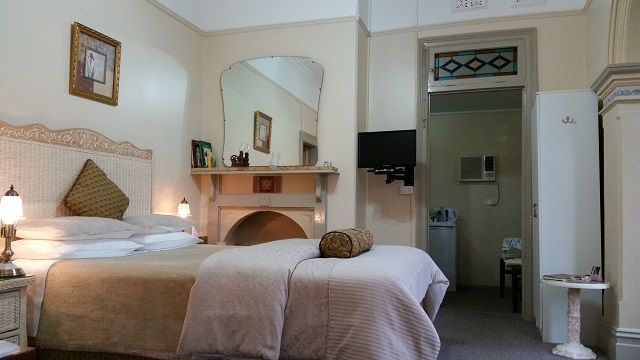 If you are looking for the best quality and value in Tumut accommodation, Try Something Different – You’ll Love It! From $130.00 For a Single to$145.00 Per Night For a couple.Weekly price POA. Why stay at an ordinary motel, when you can stay in total comfort at Boutique Motel Sefton House. Continental Breakfast available $20.00 Per Person. GIFT CERTIFICATES AVAILABLE – What a lovely idea. This room can also accommodate 1 child under 2 years old, in a portacot. Ask for details.